Sometimes you might want to send a letter or email to a parent or guardian to alert them that their student was involved in an incident. Within BRIM, you can easily setup letter templates to speed up the process. 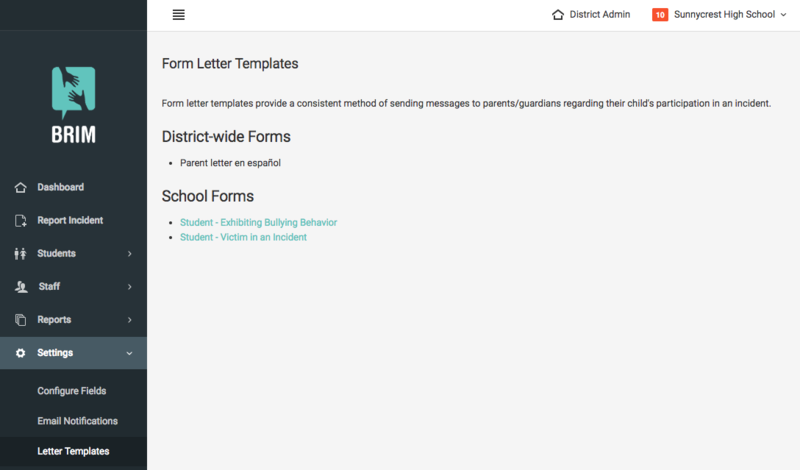 Incident details will automatically populate into the letter so each letter will be unique and specific to the incident and student involved. On this page you will see our school has one district-wide letter template available. These district-wide forms are available to all schools in the district an can only be edited by a District Admin. 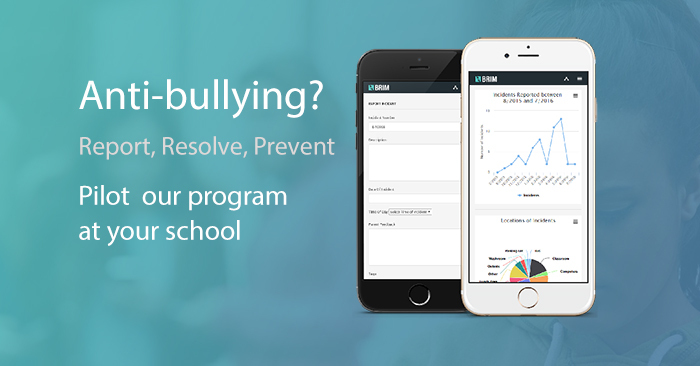 Our school forms, however, can be modified by any BRIM user within the school. To edit a template, simply click on the title link and edit the letter. Any text within square brackets will be a template variable that is populated with information from the incident. To the right of the screen, you can see the full listing of all available form variables. Any variables that you create on your own and use within the document can be inserted by the user at the time of sending – they won’t be able to send the letter until all variables are filled in. Click the “Save” button when you are done editing.